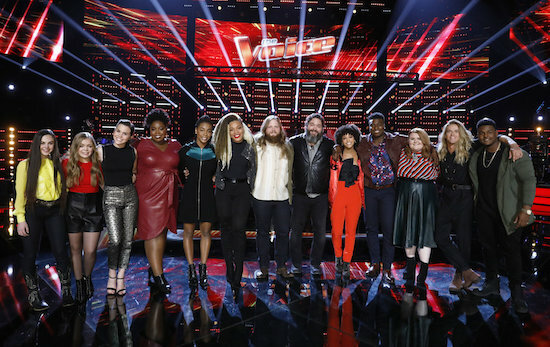 THE VOICE: In a 60-minute episode (about 40 with ads), the show revealed results for 24 contestants, had the two Comeback Artists perform and had America vote, and had two outside artists perform songs. I don’t get why the show opted to do that, because the real damage is to the contestants. I honestly don’t know if I could name half of the top 13 artists due to how much they rushed everything this week. Oh well. And, uh, Rag Doll was messed. up. The physicality was so creepy. THE CONNERS: This was a powerful episode…aired way out of order. It would have been great to see more about Dan’s grief immediately in the aftermath of Roseanne’s death. Instead they held it several weeks, so some of the jokes were dated (holidays, the recent election results) and it felt like Dan’s overwhelming grief came relatively out of nowhere. SPLITTING UP TOGETHER: It’s hard to watch Lena and Martin be so nasty to each other, but hopefully they’ve now gotten past that. THE ROOKIE: I really hope Jackson pulls out of this funk with a gun, though I’m glad he was able to save the day by using the cop car. I’m also glad Lucy told John others know about their relationship; I’m equally glad they ended things. It was the one element of the show that was bothering me, both because of how unequal the fallout would have been and because they’re in very different places of their life. I’m sure it’ll come out, and probably sooner than later, but I’m curious to see how the show handles their relationship and future relationships going forward.